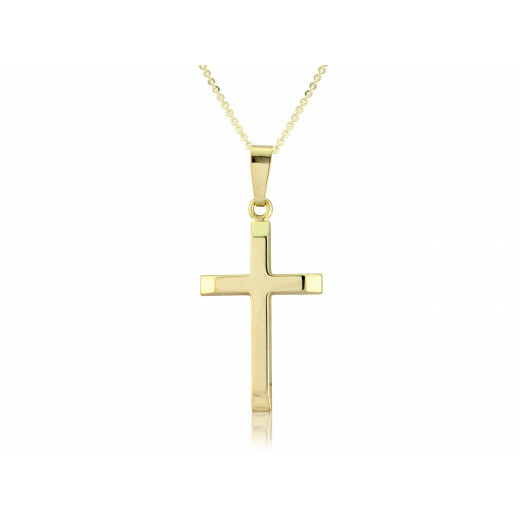 Bevelled edge 9ct Yellow Gold Plain Cross Pendant on Trace Chain. Pendant is supplied with a trace chain, length 16 inches with the option to extend to 18 inches. Bolt ring fittings.